Self-employment can be rewarding personally and financially, but it comes with some tough challenges including long hours, an uncertain income, and a lack of structured benefits such as health insurance and retirement plans. But this is not the only reason it may be worthwhile to divert a sizable chunk of your earnings into tax-deferred retirement accounts. Doing so generally reduces your taxable income. Anyone can set up an IRA, but contribution limits are relatively low — $5,500 in 2018, or $6,500 if you are 50 or older. Here are two additional options that may allow larger contributions. Solo 401(k). A solo 401(k) is a one-participant plan for business owners who have no other employees. Tax-deductible (or pre-tax) contributions to an individual 401(k) can be made in two ways. As the employee, you can contribute as much as 100% of your annual compensation, up to the $18,500 annual maximum in 2018 ($24,500 if you are age 50 or older). As the employer, you can also contribute an additional 20% of your earnings (25% if the business is incorporated) and deduct it as a business expense. Total contributions are capped at $55,000 in 2018 ($61,000 for those age 50 and older). A solo 401(k) plan may also allow plan loans and/or hardship withdrawals. The deadline to establish an individual 401(k) and formally elect salary deferrals is December 31 of the year in which you want to receive the tax deduction (or before fiscal year-end for corporations). For businesses taxed as sole proprietors and partnerships, salary deferrals and profit-sharing contributions for 2018 must be deposited into the account by the April 2019 personal tax filing deadline. SEP-IRA. You can make tax-deductible employer contributions of as much as 25% of net earnings, up to $55,000 in 2018. 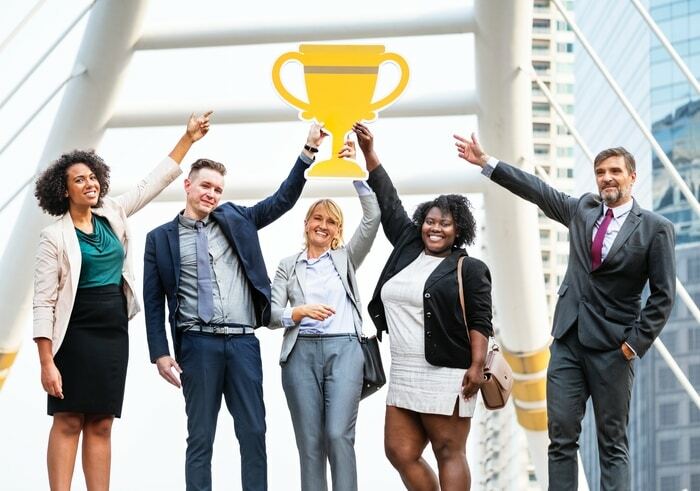 If you have eligible employees, you must contribute the same percentage to SEP-IRAs in their names; of course, the dollar amounts would be different for different salary levels. You are not required to contribute to a SEP-IRA every year. In addition to any employer SEP-IRA contributions, you and your eligible workers can generally make pre-tax employee contributions up to the normal IRA contribution limits. You have until the April 2019 tax filing deadline to set up a SEP-IRA and make 2018 contributions. Distributions from 401(k) plans and SEP-IRAs are taxed as ordinary income. Early withdrawals (prior to age 59) may be subject to a 10% federal income tax penalty. Each year, as many as 60 percent of Americans make New Year’s resolutions. One of the most popular is saving money, yet it’s also one of most common resolutions to fail.1 As you look ahead to the rest of the year, we’ll show you what could be the difference-maker to keep your finances in check. Does it pay actual cash value or replacement value? If your policy pays actual cash value for a loss, you’ll receive enough money to pay what the home or item was worth when you bought it, with depreciation factored in. If you want to replace your home with items of the same quality, you’ll need a policy that pays replacement value. Are your home improvements reflected? If you’ve made recent improvements to your home, such as updating the kitchen or adding a bonus room, make sure those are reflected in your policy. That way, if your home is damaged or destroyed, you’ll be able to replace that new addition too. Does it cover temporary housing? If you experience a loss and are unable to live in your home while it’s being repaired or rebuilt, you’ll need a place to stay. Make sure your policy covers a temporary residence in your neighborhood or school district, and other out-of-pocket living expenses. Does it cover special losses, like floods or hurricane damage? Did you know that water damage makes up 45% of all interior property damage, happening more often than fire or burglary2? In the wake of wildfires, hurricanes, and floods, you may look back and wish you’d been more prepared. Now is the time to make sure you’re covered for whatever Mother Nature sends your way. Take an inventory of your home, assemble a disaster preparedness kit, and talk to your agent about the types of coverage you need. 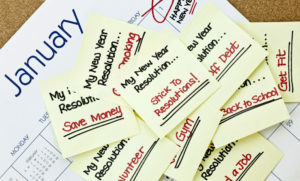 Want additional tips for in sticking with your financial wellness resolutions? Check out this article. We launched the Cleary Insurance Boston Business Risk Awards to honor the entrepreneurs and small business leaders in our community who take bold business risks and reap the rewards. We received many inspiring stories of risk-taking and success, but our six finalists stood out from the pack. Get inspired by our finalists’ stories and stay tuned for the announcement of the 2019 Risk Award winner. When media company Good Life Productions saw an increased demand for their video production services, Julia Cruz and husband Neal Robert took the risk of hiring additional employees and transforming their rental apartment into a new business office and studio. The risk paid off, as the company increased revenues by 20%. While working as a repair technician and fish feeder, Rory Francis discovered that the challenge of accurately and efficiently feeding thousands of laboratory fish tanks daily was the perfect business opportunity. Rory developed a device to feed zebrafish in the lab setting and founded Danio Lab, a growing and profitable business that sells feeders to biomedical and cancer researchers worldwide. In 2015, Kevin Grant realized that the North Shore lacked a community space for people of all ages to hang out, so he took it upon himself to fill that void by opening The Castle, a board game café. Kevin and his wife, Ryn, quit their jobs to run The Castle fulltime, and they have been successfully growing the business ever since. They’ve won 7 awards so far and plan to expand with a new larger, location in the upcoming year. Magbè Savané put medical school on hold to follow her dream of bringing her mother’s traditional African recipes to America. She founded Makomas, an organic tea and juice company that makes products from African superfoods like baobab, moringa, and hibiscus. The success of Magbè’s startup has been recognized by MassChallenge as a 2018 Finalist and won her the PepsiCo Food and Beverages Prize. While studying mechanical engineering at MIT, Tish Scolnik knew there had to be a better way to design wheelchairs. With her classmates, she designed an all-terrain wheelchair that effectively harnesses the power of the upper body and enables people with disabilities to move freely outdoors. After graduation, Tish founded GRIT, a startup that brought the Freedom Chair design to market. As a Fulbright Scholar in Nicaragua, Kristin Van Busum saw firsthand that children in coffee-growing communities lacked access to schooling, often receiving no more than a 3rd grade education. Kristin quit her corporate job and founded Project Alianza, a non-profit dedicated to providing education for children in the rural coffee communities of Latin America. To date, Project Alianza has educated over 2,000 children.